A long time ago, at least a thousand years it seems, I taught environmental science classes for first and second year college students. Most of these students were undecided about their majors and their futures, but quite sure neither would be in a field of science. Mathphobia was a common affliction, and avoidance was a common behavior. The realm of mathematics was entered with a certain degree of stealth, kind of a sneak attack. This was one of the most popular science courses for these students, at least partly because very little mathematics was required, and also because the subject matter was relevant to their lives. Environmental science is considered an interdisciplinary field of study like earth science, astronomy, meteorology, and oceanography, among many others. Introductory college courses such as these play an important role in the curriculum, because the big ideas of science and mathematics can be presented through the application of relevant course content. A student could learn quite a bit of biology, chemistry, physics, and mathematics, and it could be relatively painless. I say “relatively” because I just remembered one of my favorite complaints from a student. That’s not fair, Dr. Stephens, your teaching us stuff we don’t already know. It was a branch campus and we had a very small science department, consequently, many of the students also enrolled in other courses I taught. Some went on to study more advanced science and mathematics. A few even pursued careers in related fields, but recruiting science majors was not my goal. Everyone who earns a college education should understand basic principles of and about science and mathematics, but it is even more important that they learn how to learn. In my opinion, the most critical outcome of a college education, or education at any level, is the drive or motivation to learn and to keep learning for the rest of our lives. I also hope educated people are humbled as they grow, to respect all they do not know, and to appreciate what others with different knowledge, skills, and experience may offer. In fact, one reason for seeking a formal education it to protect us from our own ignorance, as well as the ignorance of others. The more we experience in life, the more we realize how much there is yet to be discovered, and the more we may question what we learn or experience. The good life is about learning. 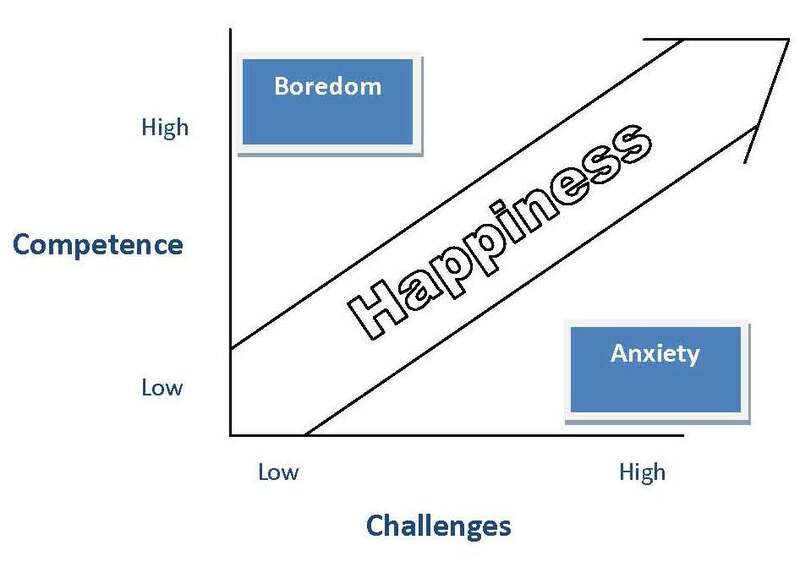 It turns out we are happiest when we are striving for greater competence and seeking greater challenges. My goal as a teacher was to help my students appreciate this important idea. This entry was posted in Biographical, Education, Human Behavior, Musings. Bookmark the permalink.